Next review Nugenix - Is this a legitimate company? Mar 26 Johnston – We’re sorry that you did not see results with our product, but we appreciate you giving us a try. 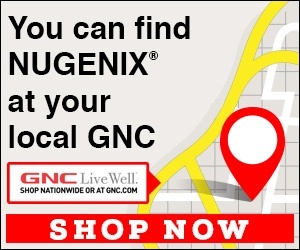 Nugenix is sold in a variety of ways, including in major retailers, online from Amazon, or directly from us. When customers order directly from us they can choose to order a single bottle, a multiple bottle bundle that offers tiered discounts, or through our sample program. For customers who chose to try it through our sample program, they receive a true 14-day sample and are allowed 18 days to try the product. At the end of 18-days, customers who do not cancel are put into our monthly shipment program. They may cancel any time, hassle free, during or after the trial period without any future obligation We verify that every customer opts into this program when ordering the original sample and disclose all of the terms of the trial program. We also include a copy of the terms in the email receipt sent immediately after purchase, as well as a series of reminder emails before the first monthly shipment. We do also offer a 30-day money back guarantee. So should anyone receive a monthly supply they didn’t wish to keep or tried the product and it didn’t work for them, they can return it for a full refund. Even a completely used bottle. Nugenix is a scam, they use the shadiest tactics to get people to unknowingly sign up for a 80 dollar per bottle subscription. They send packages without the Nugenix label so people open it, and when you try to return their product they abuse the USPS process and refuse to pay for a return label. The USPS will refuse the opened package. Google to see how many people were scammed this way. They refuse to pay return shipping. They have found the tiniest loophole and they scam thousands of people this way. They will fight back with credit card companies when you file a dispute, so beware of this operation. Other than that, the product did nothing for me, and it smells and tastes horrible and will stink up the entire room. Review #1498987 is a subjective opinion of WildEdibleFrog590.